Amplicon sequencing of functional genes is a powerful technique to explore the diversity and abundance of microbes involved in biogeochemical processes. One such key process, denitrification, is of particular importance because it can transform nitrate (NO3−) to N2 gas that is released to the atmosphere. In nitrogen limited alpine wetlands, assessing bacterial denitrification under the stress of wetland desertification is fundamental to understand nutrients, especially nitrogen cycling in alpine wetlands, and thus imperative for the maintenance of healthy alpine wetland ecosystems. 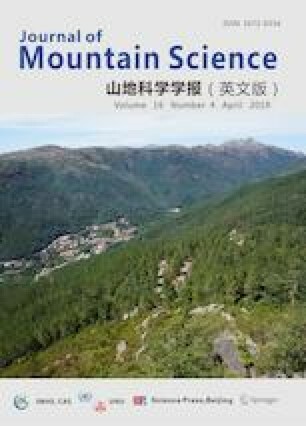 We applied amplicon sequencing of the nirS gene to analyze the response of denitrifying bacterial community to alpine wetland desertification in Zoige, China. Raw reads were processed for quality, translated with frameshift correction, and a total of 95,316 nirS gene sequences were used for rarefaction analysis, and 1011 OTUs were detected and used in downstream analysis. Compared to the pristine swamp soil, edaphic parameters including water content, organic carbon, total nitrogen, total phosphorous, available nitrogen, available phosphorous and potential denitrification rate were significantly decreased in the moderately degraded meadow soil and in severely degraded sandy soil. Diversity of the soil nirS-type denitrifying bacteria communities increased along the Zoige wetland desertification, and Proteobacteria and Chloroflexi were the dominant denitrifying bacterial species. Genus Cupriavidus (formerly Wautersia), Azoarcus, Azospira, Thiothrix, and Rhizobiales were significantly (P<0.05) depleted along the wetland desertification succession. Soil available phosphorous was the key determinant of the composition of the nirS gene containing denitrifying bacterial communities. The proportion of depleted taxa increased along the desertification of the Zoige wetland, suggesting that wetland desertification created specific physicochemical conditions that decreased the microhabitats for bacterial denitrifiers and the denitrification related genetic diversity. Supplementary material is available for this article at https://doi.org/10.1007/s11629-018-5147-3 and is accessible for authorized users. The study was supported by the Natural Science Foundation of China (Grant No. 41201256). Supplementary material, approximately 445 KB.